We are using DZ4Link.com Full Page Script to short all blog links. DZ4Link dashboard > Tools > Full Page Script > copy the script code > make the changes you want on it (exclude domains or short only certain domains). Blogger dashboard > Template > Edit html > past the script code after <head> tag > click save template. 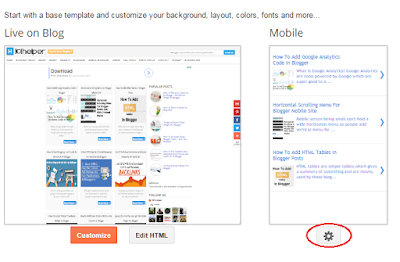 Blogger dashboard > Template > click the settings button under 'Mobile' > select "Yes. Show mobile template on mobile devices" > select 'Custom' from the drop-down menu below the 'Choose mobile template' > click 'save'. * you need to have a custom mobile template if you dont maybe posts will not load so your solution isto disable the mobile theme or change an other theme.